The change of seasons is an optimal time to make sure your HVAC system is ready for the change and operating optimally. Three professional grade products to clean the most critical components of your HVAC system, ensuring optimal performance and cleaner, fresher air. Condenser Coil Cleaner - Just attach TriClean 2x to your hose and deep clean the dirt and grime and pollen that builds up between the microchannels of your outdoor condenser coils. Evaporative Foam Coil Cleaner - This no-rinse formula makes cleaning the microchannels of your indoor evaporator coils a snap. Simply spray on and let the foam dissolve dust and slime. 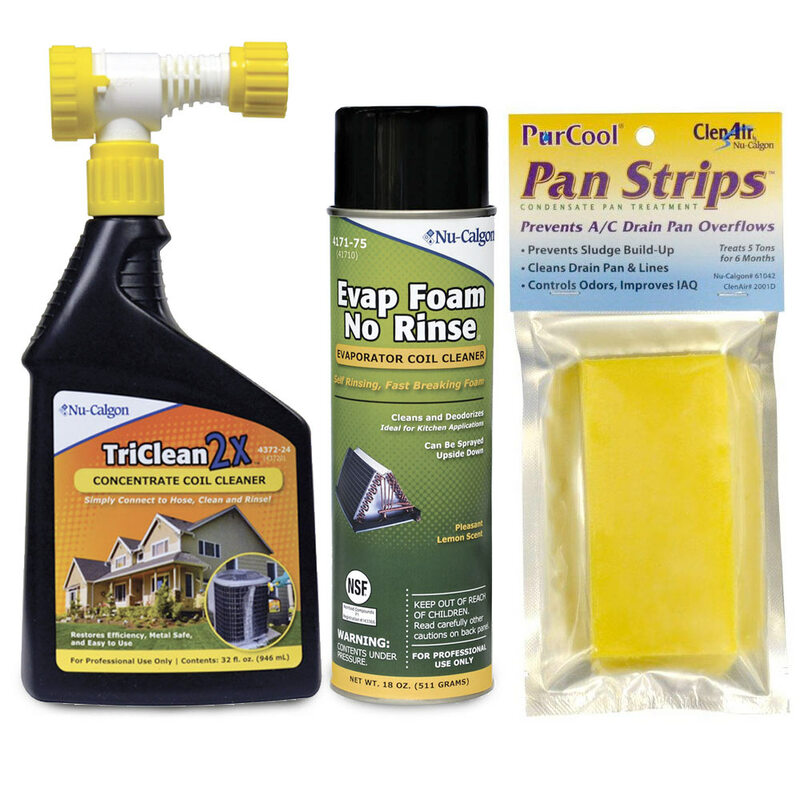 Drain Pan Strip - Simply toss the PurCool strip in your condensate drain pan to destroy slime and sludge buildup for up to 6 months, preventing costly water overflows. Don't forget to use a high quality AIRX Pleated filter to maintain the cleanliness and optimal performance of your HVAC system year round.